Life is a precious gift from Almighty and to take utmost care of it is the best form of gratification we can give him. Though I learnt it the hard way, after being really unwell for years, I am glad I eventually gave up my lethargy and now constantly yearn to find the best for the good health of my family as well as myself. In my quest, I have often come across some really impeccable products and I have now decided to bring it across to you. 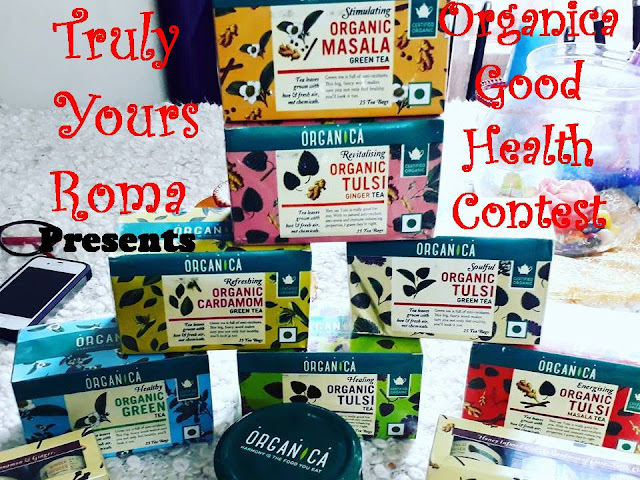 Thus, exclusively for my Readers of Health and Fitness section on Truly Yours Roma, today I bring to you exhaustive reviews of a Premium Organic food brand I have been using for over two years ~ ORGANICA. And if fitness and eating the right food to stay strong and healthy for decades is your health mantra, you must not miss this. 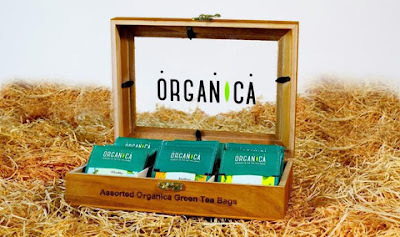 My first rendezvous with Organica happened at Delhi Airport DutyFree about a couple of years back out of sheer curiosity and my love for Green Tea which made me pick up it's fancy green tea packs that were exhibiting myriad flavors. 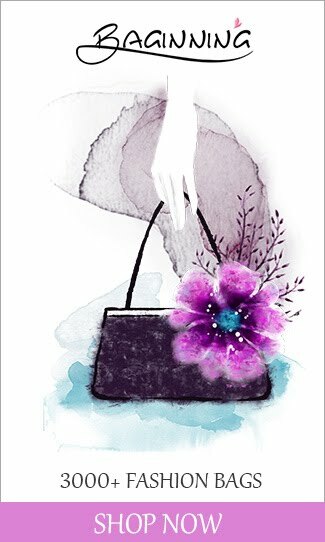 The combinations offered were intriguing and passionately I stuffed them in my bag. 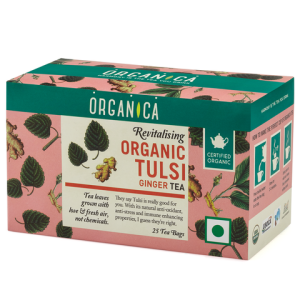 I remember there were Organic Tulsi, Cardomom, Masala and Authentic Green Tea flavors that I picked and much to my delight, the taste was one of the best I have tasted till date and it truly satiated my soul. Every single tea bag gave me the health benefits of two big mugs of green tea that too of a flavour of my choice. This proved to be absolute bliss for a green tea addict like me and when my stock was about to get over I frantically searched online to get my hands on some more of it. This is when I landed on their website, www.organicaonline.com. Going through the website was indeed a revelation to me in umpteen ways. First other the awesome teabags they also sell Authentic Olive Oil Pickles, forest fresh organic honey as well as spices and festive colors. Second each of their products is made of premium quality ingredients grown in their own indigenous chemical free farms and offers multiple health benefits. I use them all and vouch by the perfect blend and optimal taste of all of them. It comes shrink wrapped in a pretty pink box and contains 25 tea bags. I either pour boiling water on it and let it infuse for a couple of minutes or alternatively put the tea bag in a big mug of water and hear it in microwave for one fill minute. It tastes awesome both ways and it's mesmerising aroma fills your space with a lot of freshness and positivity during any hour of the day. I normally use one tea bag for 2 mugs of Green Tea. Medically these tea bags are constituted of ingredients which are rich in iron and calcium. They help in improving our blood circulation and stomach performance. 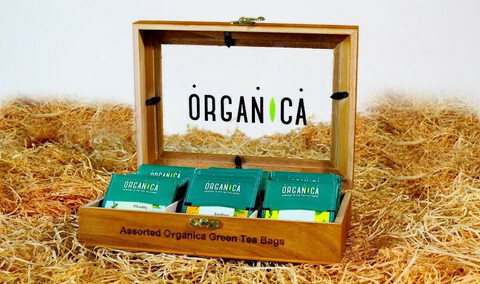 All flavors of Organica green teas are also known to strengthen our immunity. 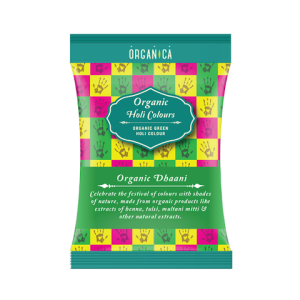 Priced around INR 169 for this pack of 25 Tea Bags, this organic product is truly a steal deal. You can find many other flavors on their website and across leading retails stores like Modern Bazaars, Nature's Basket etc. If you like brewing them, you may opt for LOOSE TEA which are equally a treat to our body and soul. I have a fetish for pickles and Organica's hot selling healthy pickles satiate my cravings like never before. 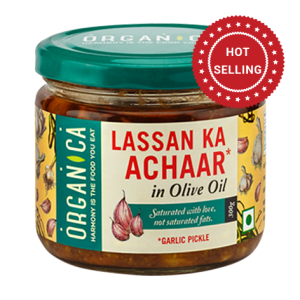 I have never come across a pickle range who know how just to add the optimum amount of spices and olive oil to the pickle to keep the taste of the ingredients alive. You can mark my words for these ones, they are absolutely drool-worthy. They come in a glass container to keep their freshness intact and are priced at INR 99 which is truly value for money not forgetting that they are olive oil based pickles. Can't deny the fact that genuine honey has unparalleled health benefits. Having it in a cup of warm milk every morn, keeps me energetic in my everyday juggles as a working mom and wife. 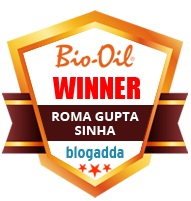 ORGANICA aids in my well being by getting the best always and can I be more indebted to them for this. At INR 249 it is a little heavy on pocket though but everything valuable comes at a price and this seems fair for the Labour in collecting nothing less then the best for us. 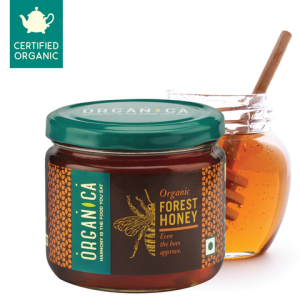 Lately, Organica has introduced a Lovely Exotic Honey Range where the qualities of honey are further accentuated by infusing powerful herbs like TULSI, Cinnamon, Clove and Ginger. I have used these and have found it unparalleled.Just a cup of Organica Green Tea with the Infused Honey has rid me of extreme cold the other day. I wish this product is available for sale in India too soon and I don't have to fetch it from Dutyfree or abroad. This is not a sponsored post guys and I am writing this post for one the products are awesome and second I think the organization lacks the due visibility and it's goodness is to be brought to the world. I met it's founder just few days back on a flight and his Noble ambitions in bringing forth this chain, made me do this. He was really ecstatic to know how I loved his products and shared his vision with me. 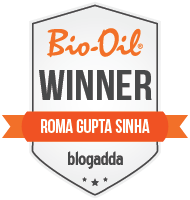 It was a real pleasure to know that Organica started it's our chemical pesticides free farms in 2008 and sales of the products commenced in 2013. 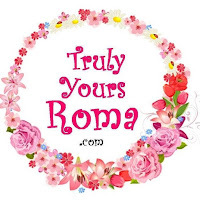 If you are the one who like my mom smells every single spice to test its credibility, these are already tested by a veteran in my home.Organica has a huge gamete of them . They are very optimally priced too, you can grab them all here without a doubt. Shipping for an order above ONE 500 is free. They also sell colors made or organic products strictly making them safe and thus brings in a sense of rejoice in the Indian festivals without the least fear. Of everything, I am so much in love with their gift boxes ideal to be given to anyone and every one with or without an occasion. 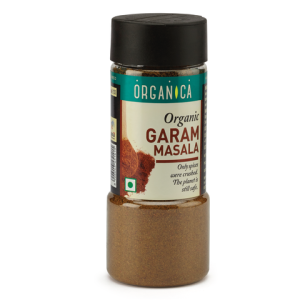 Organica products are also available on Amazon in India and Globally. You can also purchase them conveniently from Snapdeal, Craftsvila and their own website. Ans here's a surprise for all of you. We will like to know from you which of the above products you find absolutely indispensable for you and we will Gratify 3 best answers with Cool Hampers from Organica. 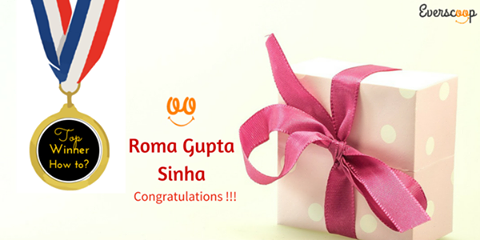 The Winners of this Giveaway are Kashifah Shaikh and Kavita Nayak. 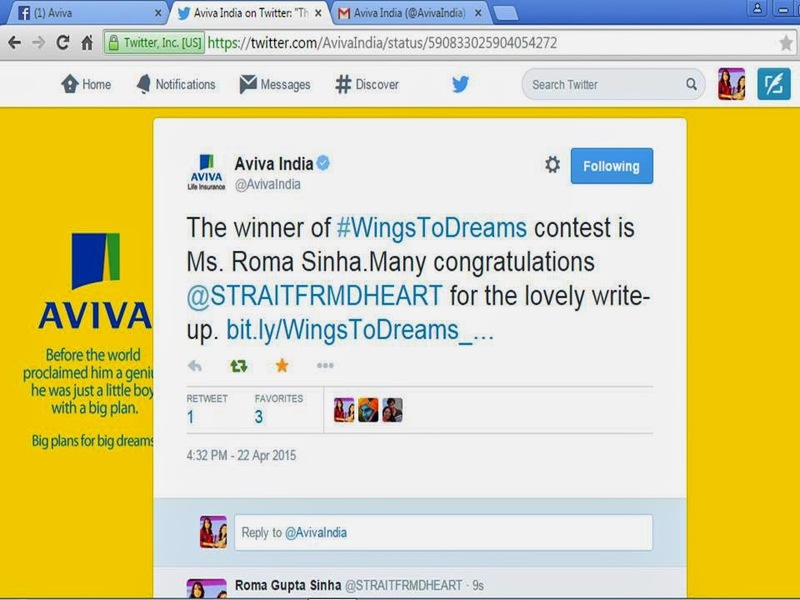 Their Winning Hampers shall be despatched to them directly by the brand. "He was in awe of salesmen while he was a student. Just like as a little boy, he was wanting to be a truck driver when he grew up. In short, he used to envy whoever had this job of wandering from one place to other. So in his resume as a fresh graduate out of the college, traveling figured prominently as a hobby and interest. Little did he knew then that, exactly like the moon which looks romantic and alluring during a full moon light, but is full of craters and extreme temperatures when you go anywhere closer to it, traveling jobs also had its pitfalls, many of them indeed. Reaching the middle-age, after having gone through the puffing and panting of extensive traveling, he had started dreading the word traveling. So that day when his boss asked him travel to Erode, he as usual cursed his destiny. He wanted to travel to Rhode islands and Erode is where he was travelling to. Erode, without an airport had to be connected either through Coimbatore or a further faraway Bengaluru. 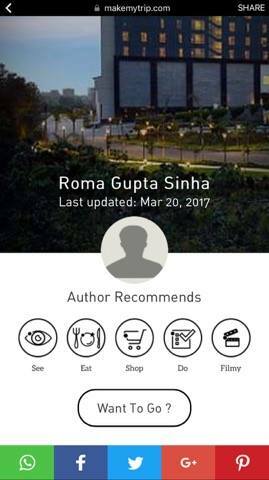 When his Mumbai flight landed in Coimbatore on a late night, he was not in a frame of mind to explore the various hoardings in the airport. He had to somehow grab his check in luggage and reach the guest house. The cab driver must be waiting with a placard, he thought. To his dismay, the cab driver was not there to welcome him, the under-construction flyover bridge had created a traffic havoc, and the driver was yet to reach. With sleepy eyes he was wondering what to do till the driver comes, whether to have that fabled south-Indian filter coffee. 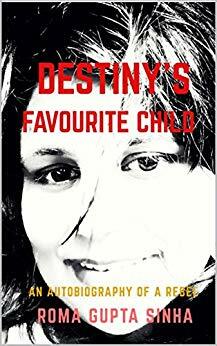 It was accidental that his eyes struck a hoarding welcoming the tourists to Kodaikanal – the princess of hill stations. The hoarding took a dig at Ootty, which was commercialized and therefore spoiled, by describing Kodaikanal as the only pristine hill station of Tamilnadu. Filter Coffee kept him awake till he reached the Guest House. Soon after the warm and plush bed took him into its refuge. Finalising the orders had become a piece of cake for him, after having interacted with umpteen customers over his career. Hence the usual high he used to get after walking out of the customer’s office with that coveted Purchase Order, was waning over the period of time. Law of diminishing returns, if one had to explain in Adam Smith’s language. Back to the Guest House and sipping that Kingfisher Premium Beer over the Masala of a Rajanikanth Movie on the small screen, he was pondering over the gradual boredom that was setting in over his life. Greying hairs, tiring limbs and monotonous lifestyle. 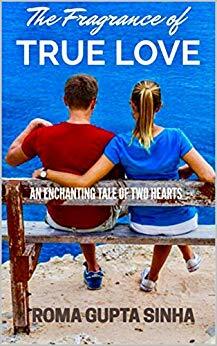 Suddenly the beckoning princess among hill stations came into his mind uninviting as if she understood the middle aged crisis he was going through. He succumbed to her charms and took a spontaneous decision to climb up to Kodai. The white Ambassador (Amby), the legacy to be found only in Tamilnadu and also in some parts of neighboring Kerala, resembled him in many ways. Like him, it was also a model soon on its way into the sunset and subsequent oblivion. It also struggled to climb the mounting pathways ahead, much like the way he puffed and panted during his daily jog. Then again, Amby had an old world charm, so had he with his typical old fashioned spectacles, Kurta, Pyjama and Kolhapuri chappals. His company had a holiday home atop a hill. The caretaker’s welcome was more hospitable than required, and his continued smile indicated the need for a tip, something very much prevalent, shamelessly though in this part of the country. Only a 50 Rupee note could mitigate the artificial smile with a more genuine query about what he needs for dinner. The sun sets early on these mountains and though it was only six in the evening, the dusk had set in. The Holiday home was well furnished and protected too from the Mosquito attacks. He settled in the outside veranda, not heeding to the caretaker’s warning about the Malaria threat across the place. Mansion House Brandy was a popular brand down south in India, and his taste glands fully complimented his choice gobbling up each drop of it. Two shots with ice cubes floating amongst the effervescence of soda, gave a quick relief to the travelling woes. Chettinad chicken with its spicy gravy served along with Dosa made a perfect match for the Brandy. Takes my breath away” – Sang Elton John long back. What awaited him the next morning was something like that. He felt like he was the monarch for a day. From the terrace of the holiday home, sipping a hot cup of tea, he savoured this invaluable moment. With mist surrounding him, but the glare of the morning sun cutting across it like a surgeon’s shrapnel, the beauty of the valley was mesmerising. The slight aroma of the Eucalyptus trees around added to the experience. Well demarcated, Green tea gardens were already full of working women, all of them carrying those headgear with the basket suspended behind from it. Down under a small water fall was visible followed by a rivulet, which seemed like a white thread woven around to patch up the cracks between the mountains. He felt in total unison with the nature, and wanted this moment to continue forever. For a moment he thought dying this moment carrying the image of nature at its best would be the ultimate virtue of human life. As his mind became philosophical, far in the horizon the heavy mist had suddenly moved away and he could spot that cross. Lutheran church was indeed clearly visible to him, and the caretaker’s local origin helped him to get the whereabouts of the church. Steaming idlis and a couple of sunny-side up eggs stood him in good stead to climb the small hill on way to the church. Though he wanted another cup of filter coffee, Kodai stuck to its reputation of being non-commercialised, there were no tea stalls visible anywhere. Being a slack season, he was more or less alone to climb up, with a few tourists here and there. The church was phenomenal in its grandeur. The solitude and serenity added to its European charms. If not for the abundance of sunlight and a sporadic crowd, he would have mistaken it for a Bram Stoker’s Church from where the Duke alias Dracula would have emerged. The church stood as that one epitome of Kodaikanal, having encapsulated all its beauty and essence. “Is there a priest here?”, the question in a heavily Russian accent took him by surprise. What he could see behind was a pair of thick glasses, concealing partially a pair of blue eyes. He felt that the glasses were worn deliberately to deny unwanted access to those mesmerising eyes. The intensity of those eyes for a moment sent shudders across his spine. “Was she one of those ladies who cohabited the duke?” , he pondered for a while. Who would want to miss the chance to further look into those eyes? He brushed aside the unwanted thoughts and answered her that he too was a first-timer there. “Let us find out about the priest together”, he said. There was no priest to be seen. A Tamilian Christian family resided behind the church. He reached out to them and tried to find out about the truth. An old lady in a frock lackadaisically responded to him. To his question about the priest, she questioned back, who asked you about the priest? He turned back to point out the spectacled girl, but she was not to be seen anywhere. As if reading his mind, the lady asked whether he was looking for a bespectacled girl with a Russian accent. He was gasping for breath after having ran down the hill. No, this time he was not looking for a cup of filter coffee, but for a fellow human being with whom he could share his agony. Holiday home never looked the same, and he never dared to look out into the valley next morning. Those blue eyes kept on haunting him, for once he thought he could dissolve into them." 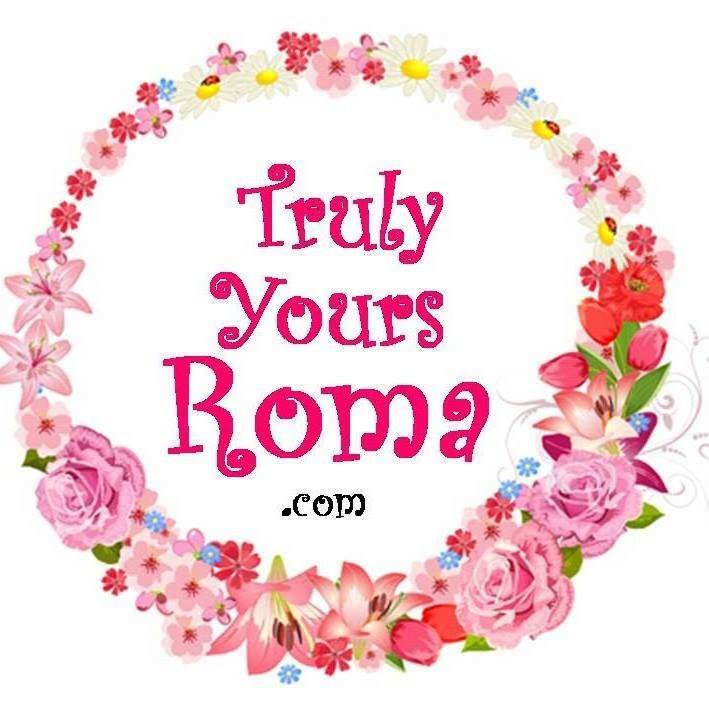 My Precious Readers, this is a lovely Guest Post by V T Rakesh of #BlogBuddy group #WriteOn of #BlogChatter and its a pleasure featuring him on Truly Yours Roma. 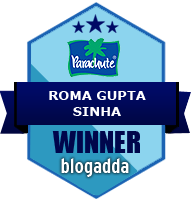 You can many more such beautiful pieces on his blog AUTHORRAKESH . I am not a movie buff but meaningful cinema close to real life is very me and I really look forward to such soft touching films with a heart-warming and thoughts tinkling message. 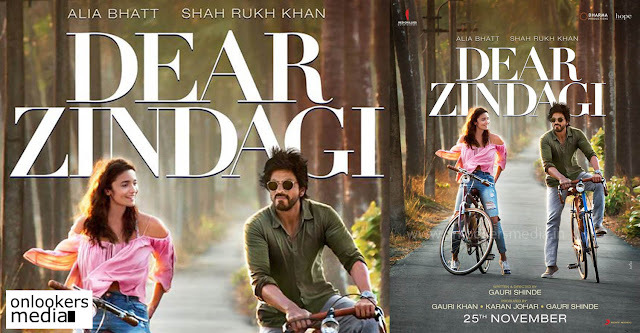 One such movie which is going to hit the theaters soon is 'Dear Zindagi' whose teasers have appeased my soul and persuaded and coaxed me enough to dig out most secrets about it before I watch the first day first show on 25th November.. This is when I discovered my all time favorite The Majestic Shahrukh Khan plays a bestie to the bubbly Alia Bhatt in the much awaited movie. Alia lovingly calls his most trustable friend Jahangir Khan the reel name of Shahrukh in this heartwarming tale as 'JUG' which is quite amusing as well as interesting and the real story behind the nomenclature still remains a tight lipped secret. As I gear up to watch this magical movie made by my favorite director Gauri Shinde, I thought why not I share about the Jug of my life too, who is the sweetest piece of my heart. 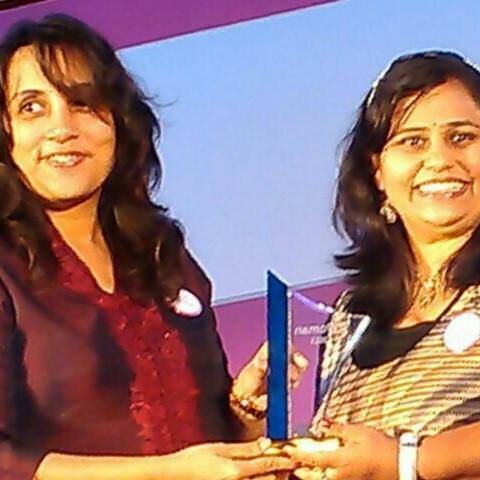 She is none other than my most beloved and hidden from the world friend Kirti. Well it is rare that a writer falls short of words to describe her friendship but the magical relationship that I have with her is one whose divine bonding all the words of the world put together fail to describe. She is my 2 a.m. best buddy who is a incomparable magical pot of right advises for you no matter how tricky a situation you are trapped in. We have been together for over 10 years and it's not that we meet everyday but whenever we do the amount of fun, giggling and naughtiness that fills the atmosphere is one of its kind and if not we are united in our words and deeds forever through our phones. What keeps the spark of our friendship alive is the way our attributes complement each other. 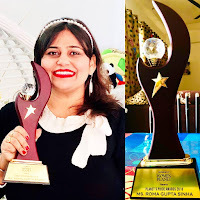 While I am an emotional creative bee she is one sweet girl always bubbling with practical wisdom.She is a bond and a wonderful homemaker, an example of perfection to so many. I love her impeccable ways of dealing with the most gruesome situations of life where anyone would have given up but she pulled through and not just barely managed but adorably so. I have innumerable sweet memories with her and I continue weaving infinite more each day.We were married the same year and were immediate neighbors, that's how we met. While I worked from 7 to 7 it was worth the effort for a hot cup of tea she served me with all her prudence and love each day when I returned. That is where a strong foundation of our friendship was laid. Our children were born with a difference of 26 days too. God has united us like two real soul sisters do and I can never be grateful enough to Almighty for conferring her to me.Later she shifted to Mumbai and me to Pune but the strings of our heart are connected in a priceless bond. We talk each day and I love to love her and soak myself in her unconditional life and guidance. She is and will always continue to be the fragrance of my life, my JUG, this little piece is an ode to our friendship, love. "There is this incomplete feeling that lingers on...forever. It has been there from my childhood, it seems so familiar as if it defines me. 2 decades later today from being a child to having my own child and after having accomplished everything I have dreamt of, my soul still seeks peace. My own heart-wrenching cries as a small child still wake me up at nights. I remember the 11 year old me when I barely began to understand things.. I loved my mom most dearly and my dad equally too. They were the best of parents one could ever have. My little heart wanted all of us to live together and I loved the small house we lived in. 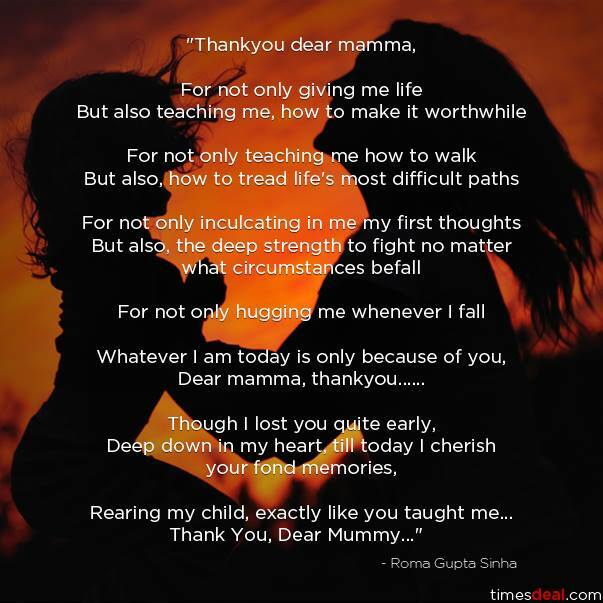 But in some other moment when I saw my mom crying in solitude hiding her tears from me, I always invariably cursed dad and the other woman in his life to cause mom so much of pain. I wanted to free my mom of this perennial mental agony and the only way to do this was we leave dad's house which meant I have to live without dad’s hugs all through my life. In both the cases loss was mine and the dilemma stole my peace of mind forever and that is I guess how it is for all of us whose parents though wonderful people individually don’t get along well. The children of broken families experience this void which drives them away from normalcy. From this void crops up several fears which lives with us throughout our life. Fear of social stigma, fear of turning disloyal to your partner like your dad as it's his blood which runs in your veins, fear of losing the remaining loved ones on your broken family and the list of umpteen other fears which make you socially awkward only elongates with every passing year and the void only grows. Every time I smile or laugh I am not sure it's a whole-hearted one and so I try to conceal it along with all of my pain. I feel paralyzed in pain and the incomplete feeling lingers on. And I continue bearing the punishment of a mistake I had never committed in sheer silence. When I was a child the world said I was a silent child and today they say I am depressed but I feel that I am entrapped. It's not that I haven't tried to brave upon the vicious circumstances life has trapped me in and at times have even succeeded in finding meaning and real happiness in my spouse and little one's smiles but even a small adverse circumstances relapses the fears embossed in my tiny brain in childhood. All my current accolades and the work keep me sane but yet the incomplete feeling lingers on and in dull dark moments even makes me contemplate suicide....can anyone please explain why, is their a medicine or treatment that can fix my illness ?? Now I have decided to seek the answer myself. Enough is enough, I can't let my family suffer under the shadow of my past. I intend to break the web of dismal pessimism around me and I am sure I will. Things have started to look brighter. Every time the morose incomplete feeling now tries to put me down, I try to leave no stone unturned to complete it with my present day assets and rejoice in the moment. Hope this helps! " Dear Friends, This is a true tale of Harshit(name changed). He is in his early thirties and always experienced emptiness around him until recently. He wishes to let the pain of the child of a broken family known to the world, so that the world doesn't pity such children but come to their rescue and treat them as normal. Sadly, while once we believed that marriages were made in heaven and did our best to last them for a lifetime, today they make and break at the drop of a hat. Though we all acknowledge that it's worthy to walk out of an abusive or incompatible marriage,we cant ignore the fact that it's the children of these marriages who lead a crippled life throughout no matter the decision goes in whose favor their mom or their dad. It's their nest which breaks forever and this is the last thing that should happen to a child. Thus I earnestly urge to everyone reading this that choose your spouse wisely, sort your differences amicably before you bear a child because if you dare bear him, show the mettle of rearing him perfectly so that we don't have more Harshits in society living in perennial dilemma. 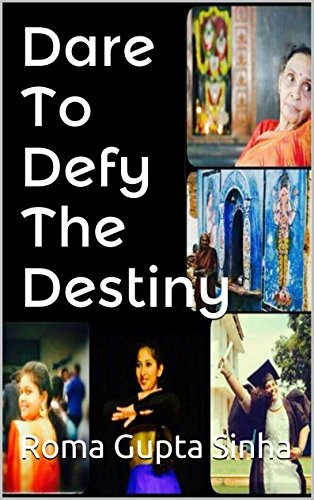 · When the negative energy around her breaks her down, what course must Radhika Take? This Post is also linked to NaBloPoMo (National Blog Posting Month) which challenges you to a blog post every single day in November. 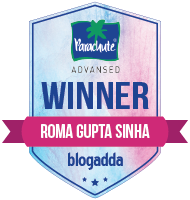 Publish posts daily, meet other bloggers, and try something new.